The Coffee Habit: How Many Calories are in a Cup of Coffee? 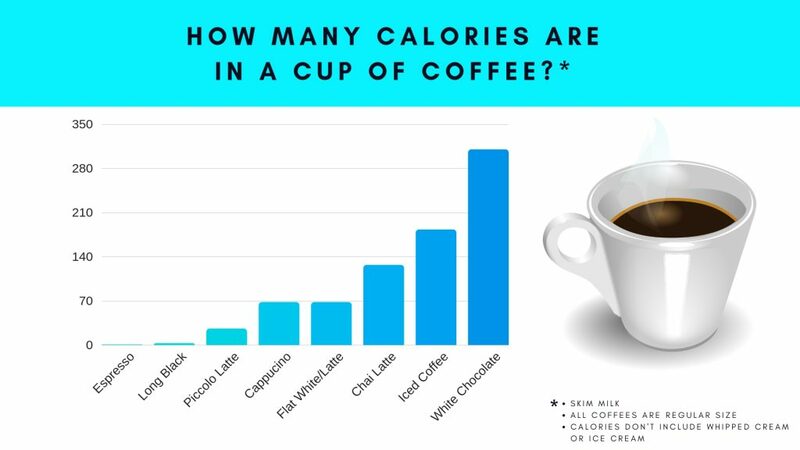 Coffee Geek Lab / The Coffee Habit: How Many Calories are in a Cup of Coffee? 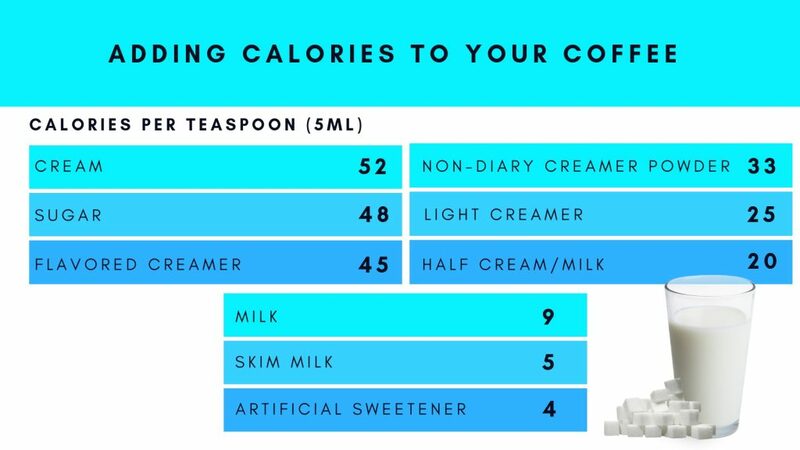 What Adds Calories to Your Coffee? How to Make Your Coffee Habit Healthier? The 2019 year is already here, and it’s your chance to turn a new page and start living a better, healthier, and happier life. It’s also high time for New Year resolutions you make every January. This year, you promise yourself to take care of your health and body. You want to do sports activities, drink more water, and stick to a diet. Since you want to feel good about what you see in the mirror, every calorie counts. Do you monitor what you are snacking on? With your love for espresso and latte, do you count calories in coffee? Since 54% of American adults consume 3.1 cups of coffee daily, it can mean a lot more calories. Here comes the ugly truth: coffee lovers often put caloric add-ins to improve the flavor of their beverages which affect the number of total calories they consume daily. 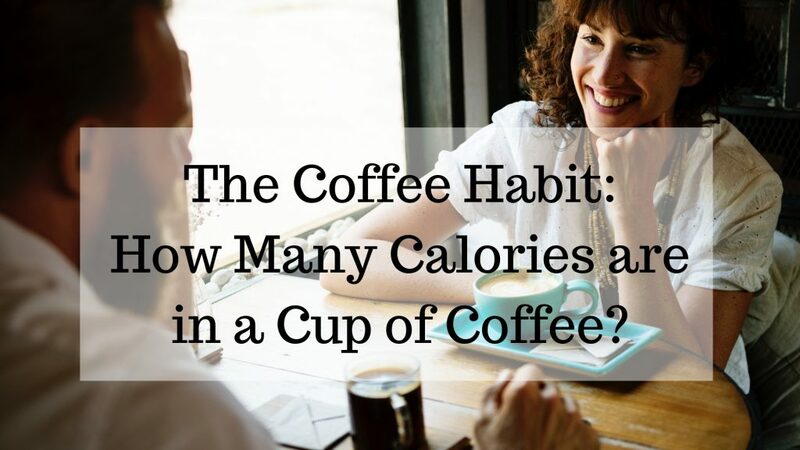 In this article, we’re going to find out how many calories in a cup of coffee, what adds calories to the cup of coffee, and how to consume fewer calories without breaking the habit. It’s not a secret that the total number of latte calories is not the same as black coffee calories. Want to know espresso calories per shot? If you like your coffee strong and black, there is nothing to worry about: an 8-ounce cup of coffee has just 2 calories. However, just 35% of U.S. coffee lovers take their cup of coffee black. What about other types of coffee? What about calories in coffee beverages? Are they all created equal? The main difference between various coffee beverages is the proportion of espresso, steamed milk and foam, and extra toppings like chocolate, whipped cream, etc. The more add-ins your coffee has, the more calories you consume. Although there are healthy coffee add-ins that contain almost no calories (cardamon, coconut milk, ginger, etc. ), many of us put milk or creamer to make coffee taste better. Thus, it’s no wonder white chocolate mocha has 310 calories. What can we learn from the above-mentioned infographic? The total number of calories in your coffee depends on three main factors: coffee type, cup size, and coffee add-ins. Once you know how many calories in black coffee, it’s time to find out what adds calories to your favorite beverage. One study by the Public Health Journal says that 68% of coffee drinkers consume their drinks with caloric add-ins: milk, sugar, whipped cream, etc. Obviously, when you add milk and sugar to coffee, it’s not a low-calorie beverage anymore. When it comes to coffee beverages, more than 60% of extra calories come from sugar. If you add cream or toppings, it means even more calories. As a result, your low-calorie beverage turns into a snack. If breaking the coffee habit is not an option for you, you need to understand how to reduce calories in coffee drinks. Read more about nutrition information. Most coffee lovers consume their beverages without thinking about how many calories they take. If you want to cut down on calories, you need to be aware of nutrition information. Read online resources or ask your barista to stop making your coffee so high in calories. Avoid artificial sweeteners and sugar. We all know that you should avoid sugar while keeping to a diet. Thus, many of us turn to artificial sweeteners. However, this option isn’t so healthy. In fact, artificial sweeteners can cause brain tumors or other illnesses. If you still need to sweeten your coffee, turn to natural sweeteners like maple syrup. Skip the whipped cream. It’s not a surprise that whipped cream is a way to consume more than 52 calories without realizing it. Since it’s a mix of sugar and fat, whipped cream is not your friend when it comes to a healthy lifestyle. Thus, you need to skip it while drinking coffee. Choose healthy toppings. Although whipped cream on the top of your coffee looks so delicious, there are other healthier toppings you can add to your beverage without putting extra calories. For example, adding cinnamon can improve the taste of your coffee. Moreover, this topping has health benefits. Just think about what you add to your coffee and find out healthier options. Opt for low-fat goat milk or coconut milk. Although most people believe that milk is rich in healthy essential nutrients, as adults we don’t need dairy in our diets. If you can drink your coffee black and you still need to pour milk into it, make a switch and choose low-fat goat milk or coconut milk to decrease the number of calories you consume. With the above-mentioned tips, you can enjoy your coffee habit without consuming too many extra calories. Plus, you can always choose a smaller cup: ordering a short latte at Starbucks can save you 50 calories off your standard latte order. Black coffee is a low-calorie beverage that doesn’t affect your healthy diet until you add milk, sugar, or other toppings to it. If you want to consume fewer calories, you need to pay attention to what you drink, not only eat. As a coffee-addict, consider what you add to your cup of coffee every time you put a teaspoon of sugar or other toppings. One simple rule to remember: coffee doesn’t harm your diet if you take it plain. So, do you know how many calories you consume every time you order your Venti Latte at Starbucks?